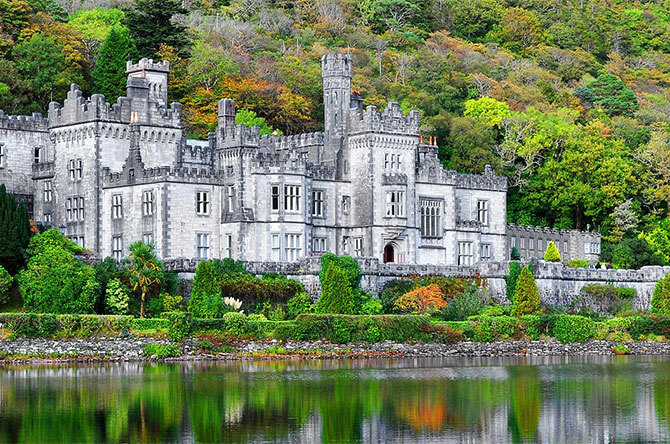 10.30am – 5pm, Saturday 27th October, Notre Dame at Kylemore Abbey. Exploring the challenges and opportunities facing coastal communities. Dr Simon Berrow has been working on whales and dolphins in Ireland since 1987 and has also worked in the Antarctic and off West Africa. He has been involved in developing best practice for the conservation and management of cetaceans in Ireland. Simon is CEO of the Irish Whale and Dolphin Group and a lecturer in the Galway-Mayo Institute of Technology contributing to the Applied Freshwater and Marine Biology degree. Simon will be exploring the role of whales and dolphins as indicators of a healthy marine Ecosystem. Whales and dolphins are top predators; they are at the top of the food chain and thus they reflect the quality of all beneath them. Healthy populations require healthy food, not just of sufficient quantity but of good quality and here we have much in common with coastal communities from the inshore fishing fleet to marine tourism interests. Dr Noirin Burke is the director of Education at Galway Atlantaquaria. She works in both formal and informal education at the aquarium and is the national coordinator of the Explorers Education Programme, funded and supported by the Marine Institute. She is also part of the coordination team for the Irish Ocean Literacy Network. She is passionate about sharing ocean stories and discussions with others and hopes to pass on her connection to nature and the ocean to her children Roisin and Ciaran and these she has the pleasure to work with. Her talk will look at how we can connect to the ocean and how it is part of our daily lives and our heritage. She will discuss the ways in which we can make the ocean part of who we are, and become responsible ocean citizens ensuring Ireland coastal communities are part of a sustainable future. The central theme to Dr Julie Maguire’s research has related to shellfish aquaculture and fisheries with particular reference to stress and husbandry. In 1998 she was awarded her PhD “Aspects of the biology of cultured scallops (Pecten maximus L.) with particular reference to stress” from University College Cork, however, the bulk of the research was conducted at IFREMER in France. She then was employed until 1999 at the Seafish Industry Authority in Scotland as a shellfish research officer. Then she returned to UCC to work as a post-doctorate on an EU project investigating the impact of dredging. In 2002 she became projects officer for the Environmental Research Institute at UCC which involved project management of some of the ERI’s >200 projects. In 2005 she began work as Director of the Bantry Marine Research Station where she manages all of the Stations research projects and co-ordinates many EU projects. Major market drivers for biodegradable plastics include legislation, depleting landfill capacity, pressure from retailers, growing consumer interest, a quest for fossil oil and gas independence and the reduction of greenhouse gas emissions. The industry defines biopolymers, or bioplastics, as polymers that are either bio-based or biodegradable – PLA is both. The production of PLA and other biopolymers is now based on natural resources like corn, wheat, sugar beets and sugar cane. There is an increasing concern that the use of those raw materials will compete with food, feed or energy production, with consequent escalation of raw material costs and negative environmental effects. Therefore we looked for an alternative biomass and seaweed offered many advantages over traditional feedstocks, including higher productivities, no competition for land use, minimal water consumption while having similar sugar contents and contributing to the reduction of CO2 emissions. The study offered a complete integrated solution from the production of the feedstock in sustainable Integrated Multi Trophic Aquaculture systems, to the development of the biopolymers using innovative technologies of reduced environmental impact until the validation test of the seaweed-based polymers in greener plastic products. This presentation will give an overview of the major results in terms of technical development for polysaccharide based plastics, use of the residues (cattle feed) and economic viability. Declan Nee has been involved with the sea for 48 years. From the ages of 12-18 he fished in an inshore currach before crewing on a larger inshore 12m vessel until his mid twenties. He then went on to work in aquaculture with salmon and mussels. For the past 20 years Declan has been working with BIM as Regional Officer (Slyne Head to Mullaghmore, Co. Sligo) for small scale coastal fishers (vessels less than 12 metres). More foods by REU on small scale fisheries and further funding to come to coastal communities through the EMFF funds. Richard West grew up between Dublin and Connemara and has always been very interested in the sea and the people who make a living from it. He studied Art and Design in Ballyfermot senior college and in the National Collage of Art and Design, then Comunications, Film and Television in Dun Laoghaire College of Art. His graduation short film was titled ‘The Sea’. He left Ireland in 1989 to live in France. While there he worked in many aspects of the seafood industry. He worked in restaurants preparing and serving seafood, in the fish auctions dealing with fishermen and fish buyers. He also worked on shellfish farms growing shellfish and in fish wholesalers preparing, packing and distributing seafood. 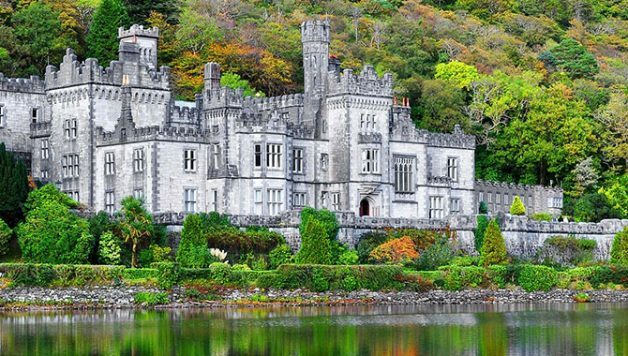 In 1999, he moved back to Ireland to start his own oyster farming business with his wife Pascale, which they did until recently. During these years Richard met and worked with many people involved in seafood and has developed a good insight into how coastal communities depend on the sustainable exploitation of this resource. He has now sold his business and gone back to making art. Ways forward where pride in the resource safeguards the development of the resource.